It’s a long weekend and we’re ready to rock! What better companion could you ask for to enjoy your Labor Day weekend with than your best furry friend? Wishing everyone a great long weekend! 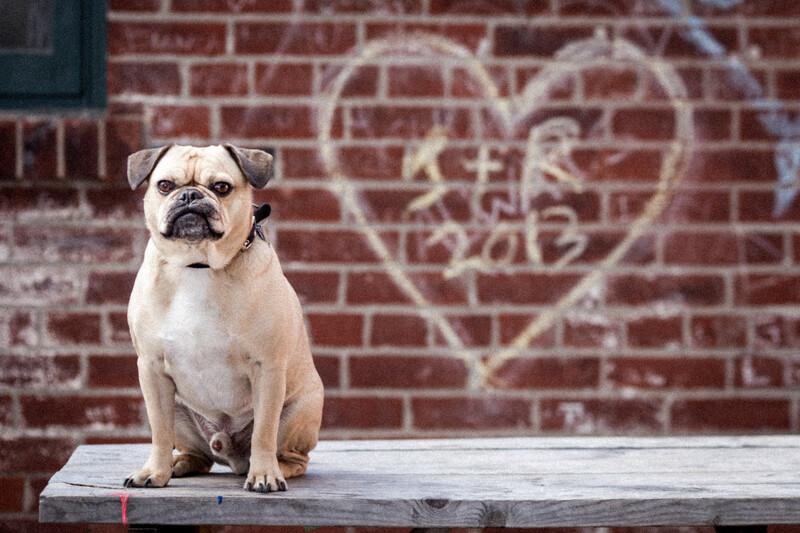 We imagine that our pug is a very thoughtful creature. She spends a lot of her days staring off into the distance with a pensive look on her face. 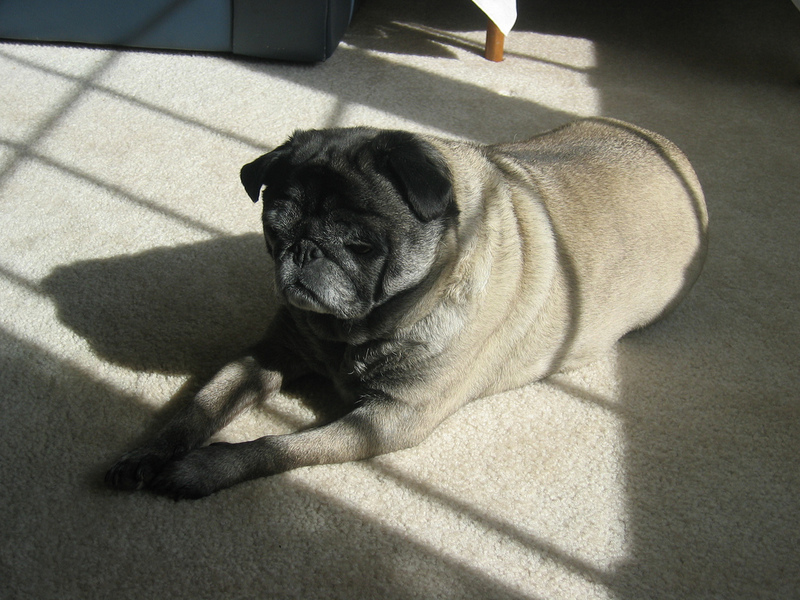 What great mysteries occupy the minds of our pugs? Nickie is ready for a long Labor Day weekend of fun! 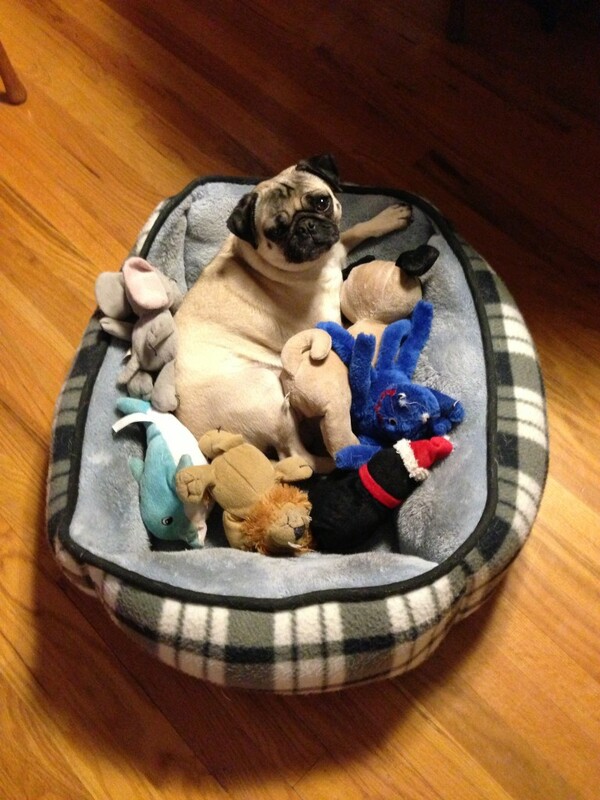 She’s kicking it off early with a happy reunion with her freshly laundered dog bed and all her fuzzy friends. Pugs definitely know how to party! We’re playing the waiting game this morning, and Nickie is eagerly awaiting the return of her fluffy dog bed from the depths of our basement laundry room. Nickie and her friends are a little sad to be snuggling on a towel for now, but there will definitely be a celebration soon when her favorite napping spot is all fresh and clean! 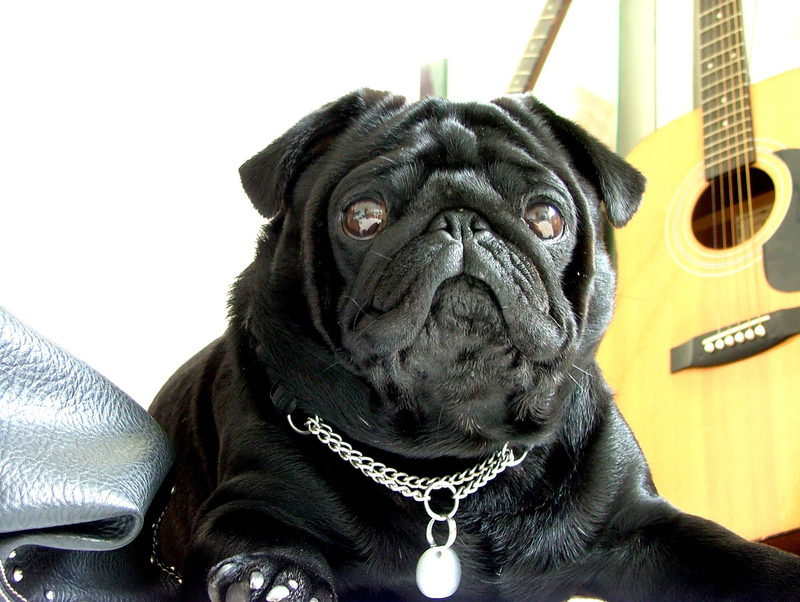 This pug has his watchful eye out for any trouble on the horizon! Whoever said pugs don’t make good guard dogs must be mistaken! 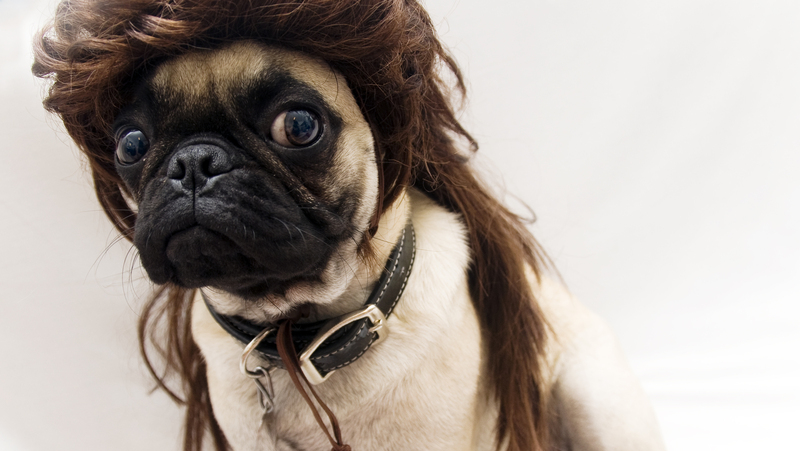 This pug is rocking that wig. 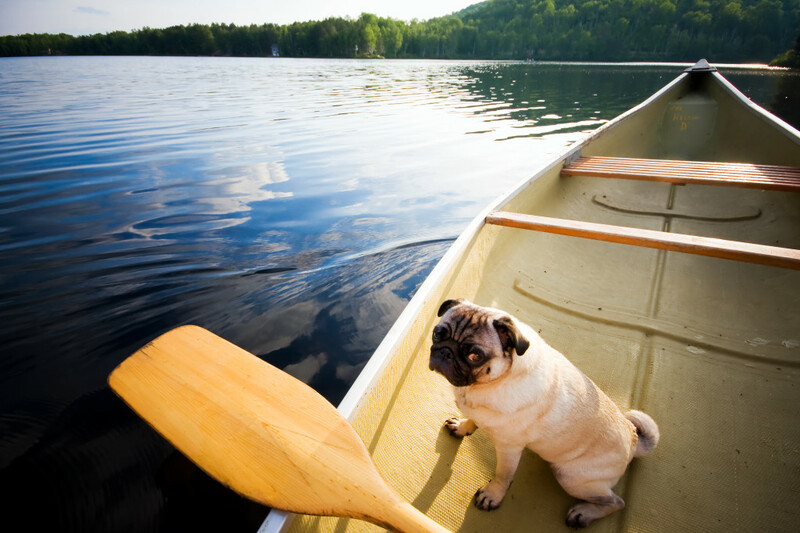 This pug doesn’t seem to be a huge fan of canoeing (and doesn’t seem to be willing to help paddle). In the pug’s defense, canoes can get a bit wobbly! 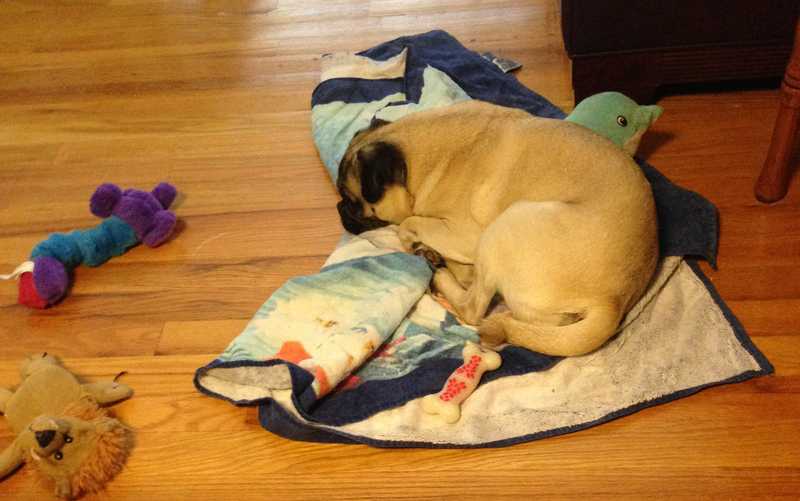 There are few things in the world cuter than a sleeping pug! 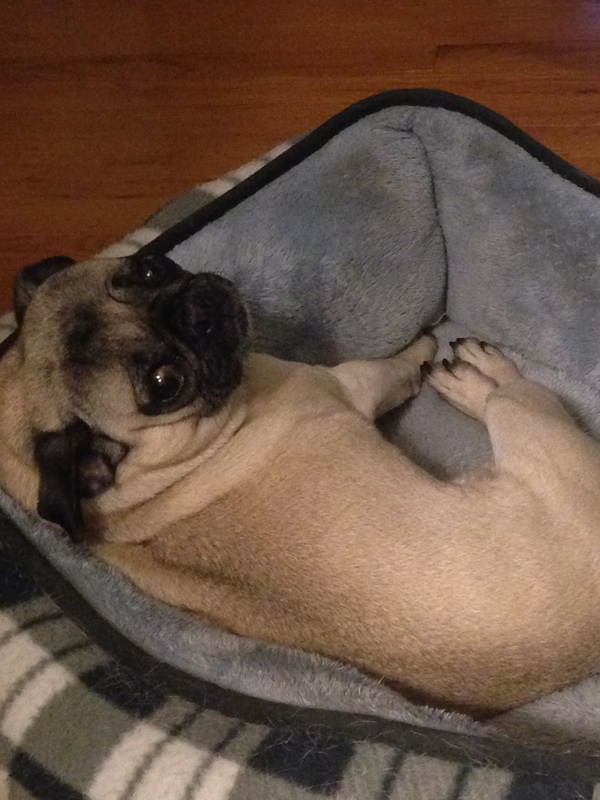 We were trying to sneak up on our pug Nickie without waking her up, but she was on to us! Don’t worry, her accusatory stare quickly turned into a smile when we agreed to rub her belly. Good morning to you too! The power of a cute scarf! Pugs are definitely cute on their own without adding any accessories, but sometimes it’s fun to throw on a little something extra for a splash of color! 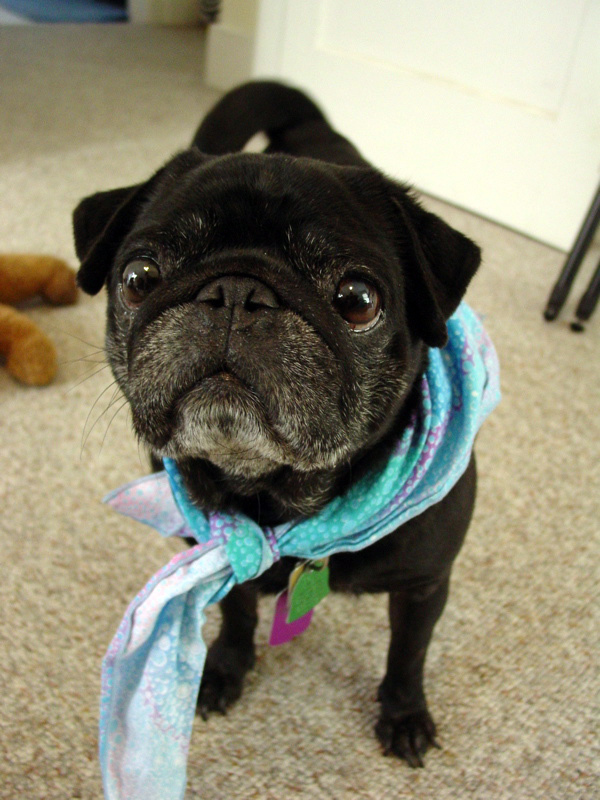 This pug looks stunning in nice multicolored scarf. Now, what was I going to do next? 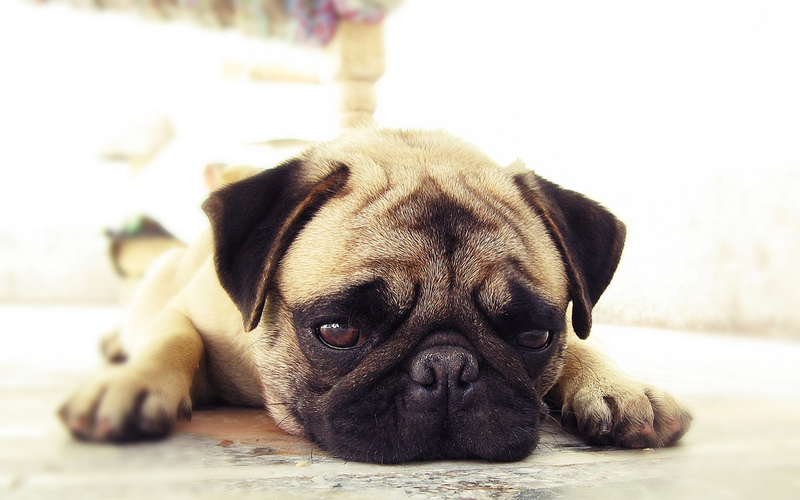 We think our furry little pug friends can be just as forgetful as we are sometimes. We’ve watched our pug wander into a room, look around as if trying to figure out why she went in there to begin with, and then wander back out. That feeling is definitely familiar to us!